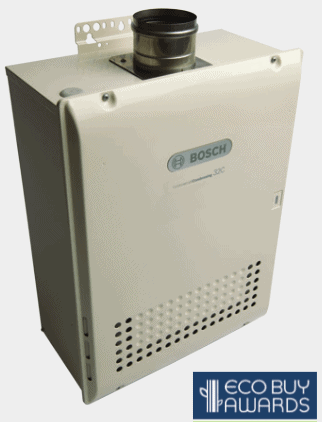 Requires a power outlet to generate the spark to ingite the burner, ensuring reliable trouble free operation. 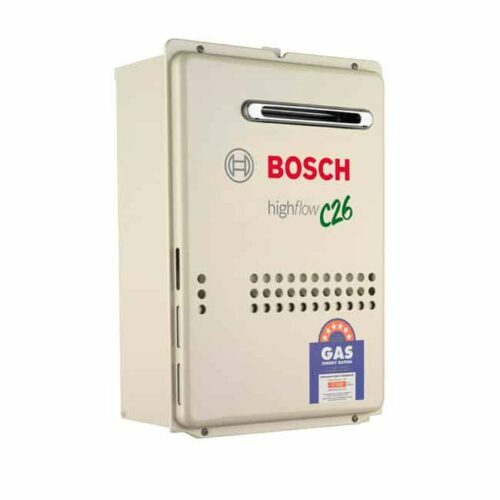 The Bosch highflow hot water systems are a compact design making them easy to install and are all 5 star energy efficient hot water systems reducing carbon emissions and therefore reducing greenhouse gas emissions. 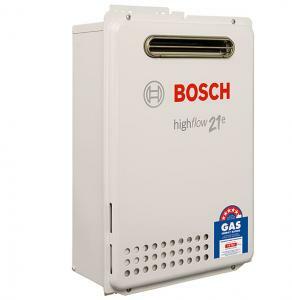 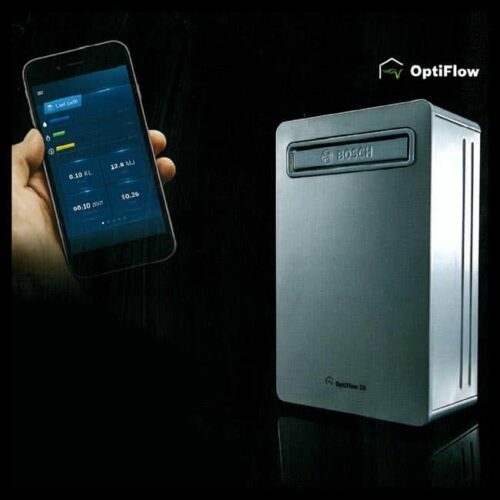 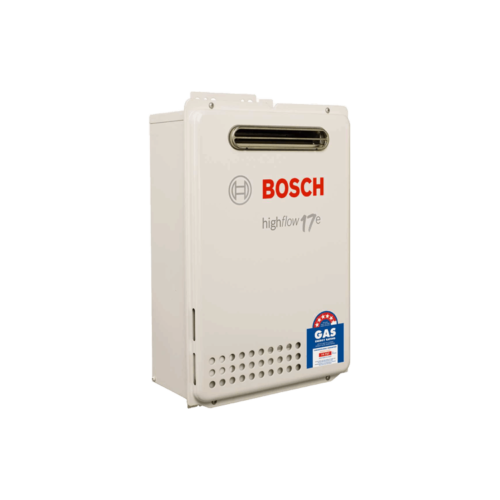 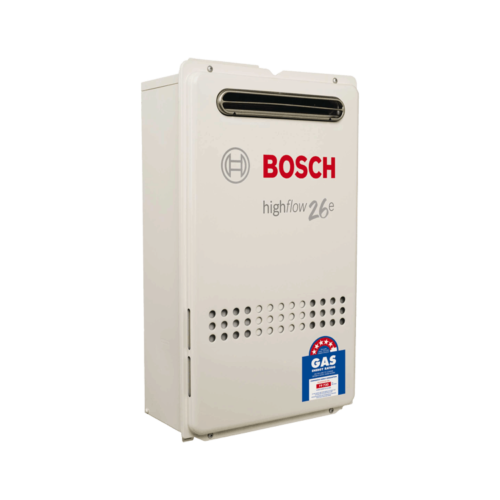 The Bosch Highflow range is our biggest seller due to the ability to install up to 4 temperature controllers inside the house enabling you to adjust outlets to your desired temperature. This feature not only saves on gas and extends the life of your appliance but it also ensures a constant temperature in your shower. 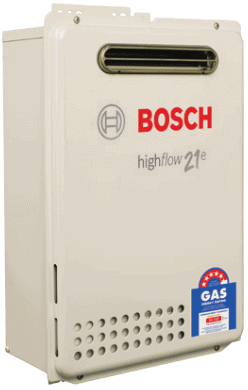 These use a constantly-lit pilot light to ignite the burner when a hot water tap is opened. 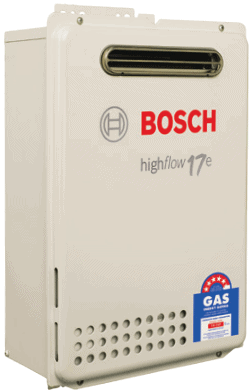 The flow of water powers a mini-turbine, igniting the burner, providing hot water on demand. 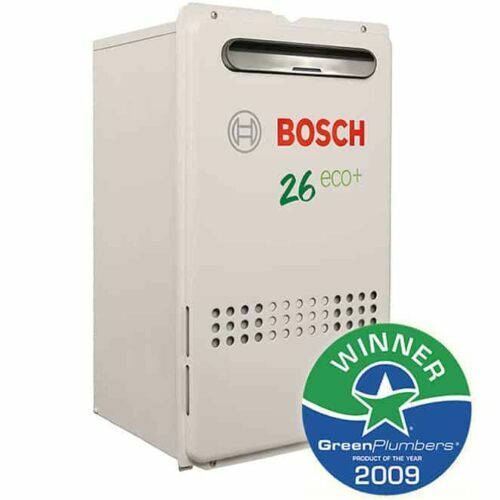 The Bosch Hydropower hot water systems are alternative replacement for the Bosch Pilot model systems now ensuring a energy efficient 5 star rating. 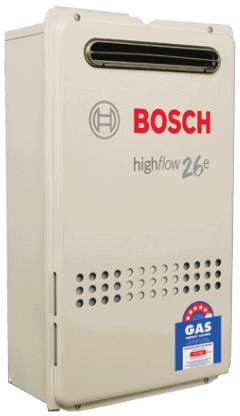 This hot water system doesn’t have a pilot light burning all the time saving gas and eliminating pilot outages on those windy days. 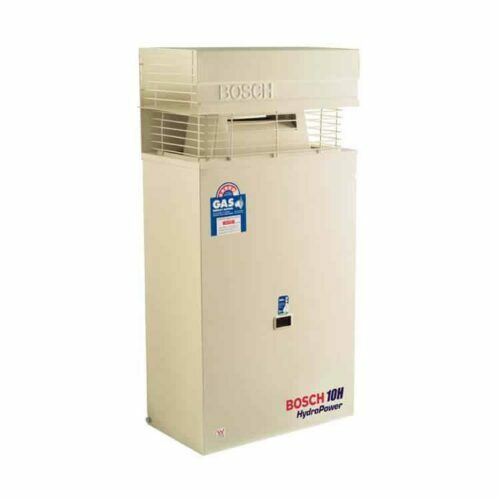 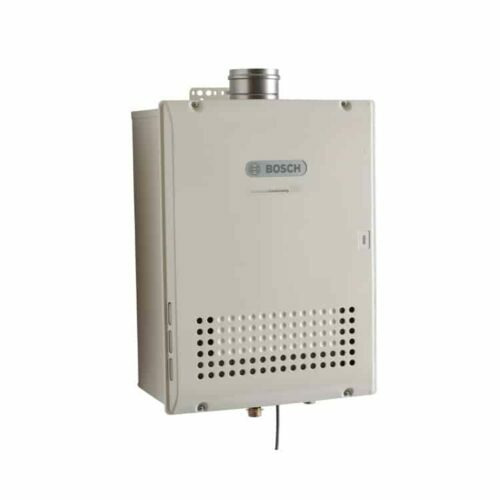 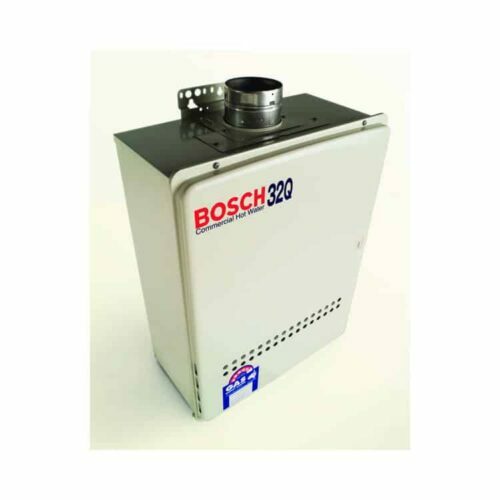 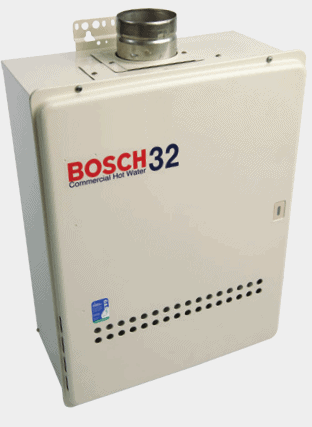 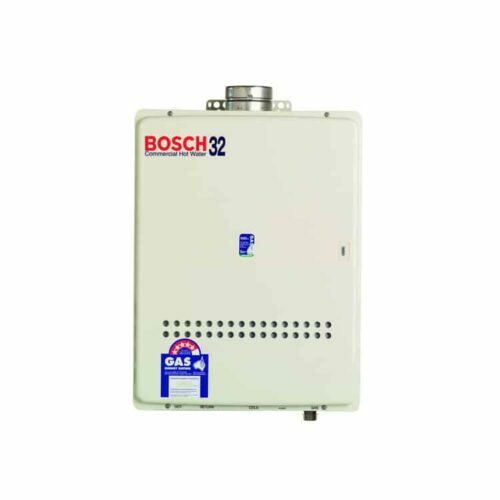 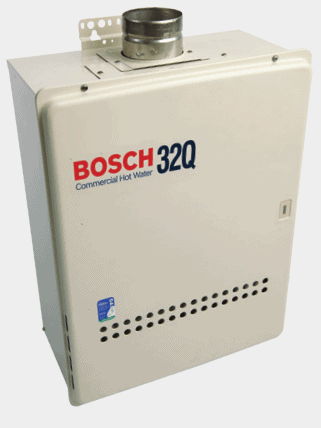 The new energy efficient Bosch compress 3000 extracts heat from the surrounding air and transfers it in the water tank . 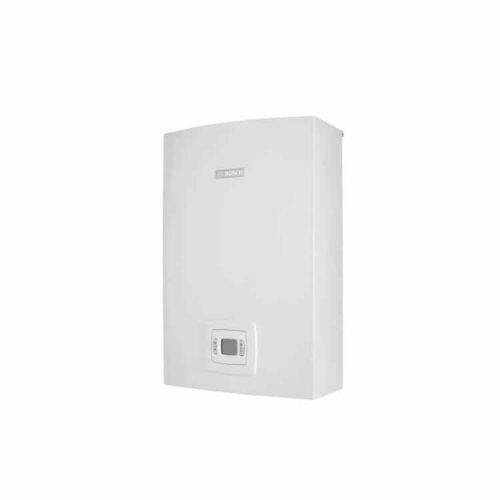 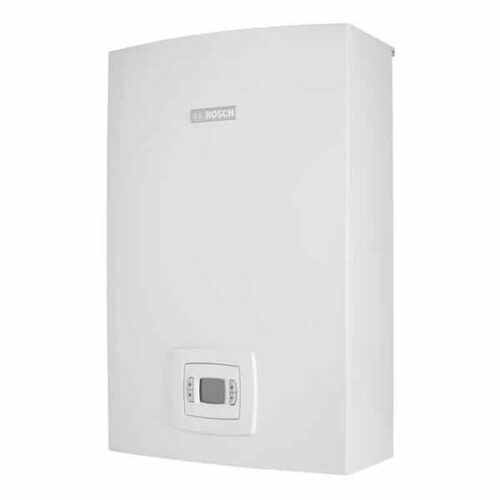 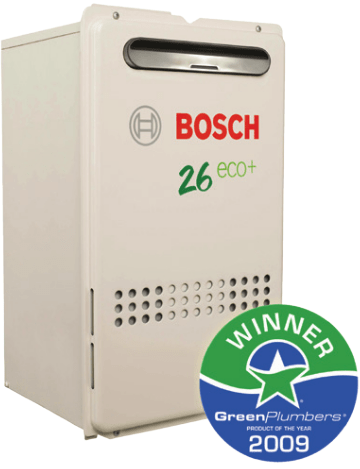 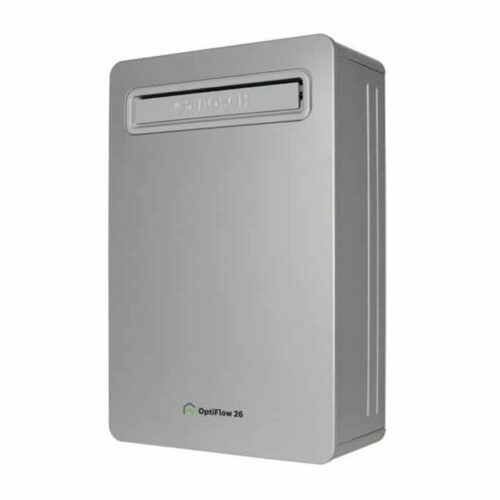 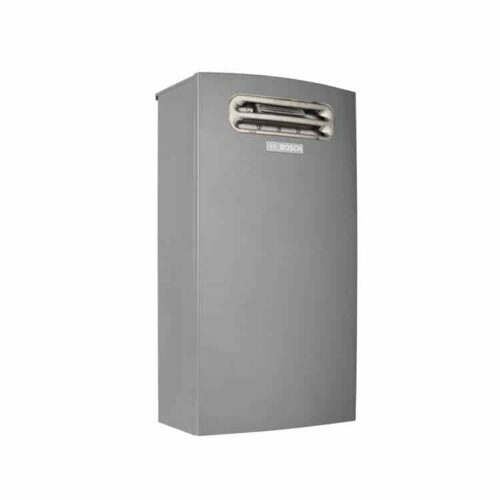 The Bosch Compress 3000 is up to 350 % more energy efficient than a standard electric storage hot water system. 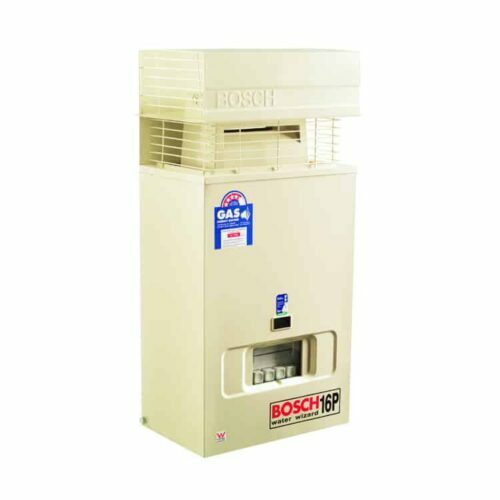 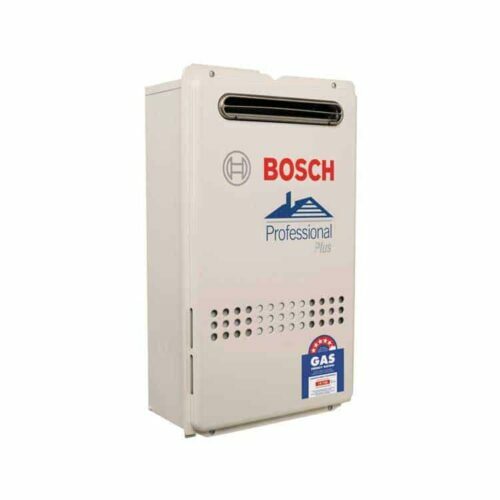 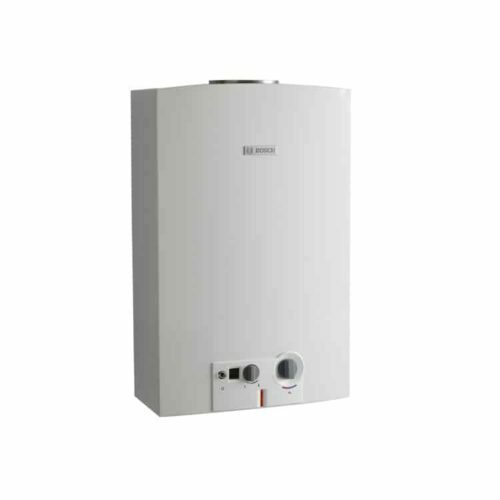 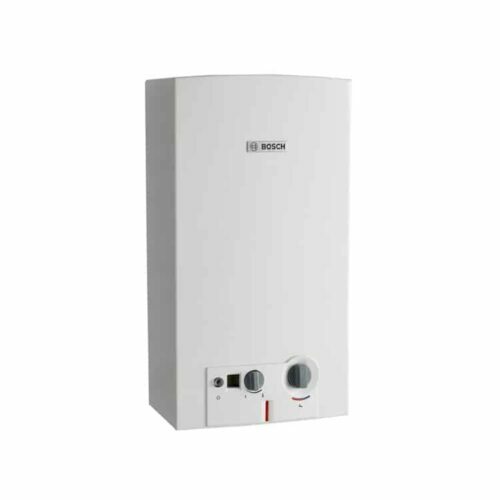 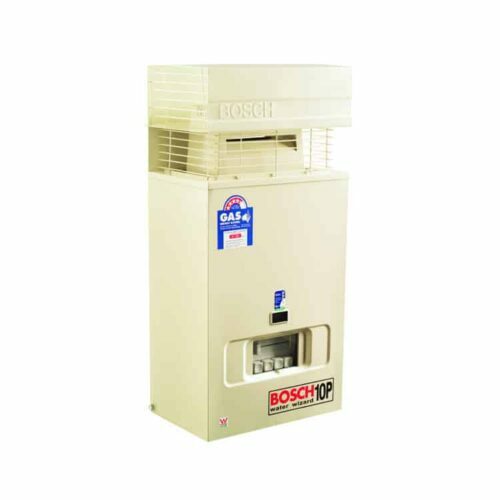 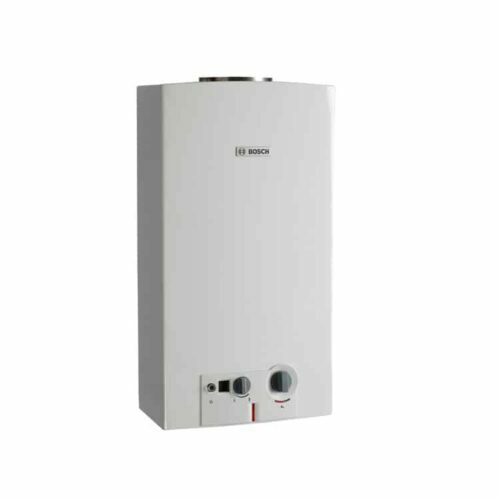 Bosch Hot Water Best Price!